The skilled estheticians and spa specialists at Treuvís Eyes Nails Body Laser Spa offer a wide variety of modern eyelash and eyebrow services, including tinting, eyelash extensions, and brow microblading. If you’re in need of a lash or brow treatment, book a free consultation at this Clinton Township, Michigan, spa. Click the online scheduler to book or call the spa directly. Which eyelash or eyebrow service do I need? Fuller, thicker lashes, and perfectly shaped brows can help you feel more confident about your appearance. These beauty treatments can even save you time since you won’t have to focus so much on your lashes and brows during your daily beauty regimen. The certified and licensed eyelash and eyebrow experts at Treuvís Eyes Nails Body Laser Spa specialize in many types of services, and they can help you choose what is right for you. Some of the most in-demand lash and brow services are described below. Eyelash or eyebrow tinting are personalized to you. Your dedicated skin care professional works with you to find an ideal shade to match your natural hair and complexion. The premium semi-permanent dyes are safe and long-lasting, with optimal darkening, for your lashes or brows. Results vary from person to person as all color fades over time. Touch-ups are needed every 2-4 weeks. Individual lash extensions involve placing natural-looking lashes onto your natural lashes one-by-one. 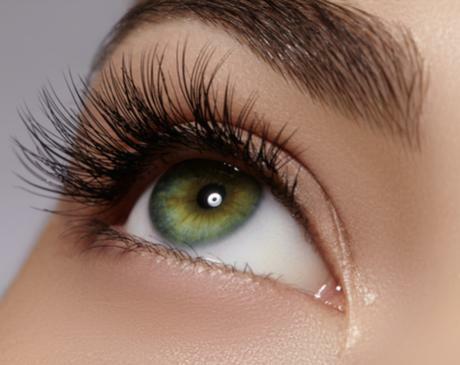 These lash extensions help define your eyes by giving you fuller, thicker lashes. As your individual lashes naturally shed, lash fill-ins are suggested to maintain the full look you desire. Fill in suggested every 2-4 weeks to maintain your lashes (lash shedding and fill-ins results vary from person to person.). Plus, if you want the look of individual lash extensions but don’t want the long-term commitment, you can opt for cluster lashes. This type of lash treatment can get you through an important engagement or short weekend trip and will fall off naturally last from 1 to 4 days, results vary from person to person. Eyebrow microblading is a semi-permanent way to enhance your eyebrows. Your dedicated microblading specialist draws in individual hairs to fill in sparse areas, so you have thicker, fuller-looking eyebrows. No more daily penciling, shading, or shaping. How do I prepare for an eyelash or eyebrow treatment? Don’t worry if you don’t have time to prep your skin before your service, though. Your spa tech can provide you with everything you need to clean your skin and remove makeup and assist you if needed. How long do eyelash or eyebrow and microblading treatments last? 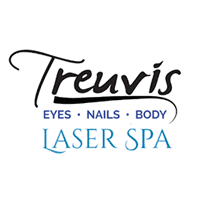 Each eyelash and eyebrow service Treuvís Eyes Nails Body Laser Spa offers lasts for a different amount of time. For instance, cluster lashes can last up to 1-4 days, while individual lash extensions can last 3-4 weeks with suggested fill-ins to maintain your lash extension, results vary from person to person. Lash and brow tinting tend to last about 2-4 weeks as well. If you’re getting microblading, though, your new and enhanced brows can last 1-3 year varying person to person, sun exposure and care of brows. Touch ups are suggested annually as needed. During your free lash and brow consultation at Treuvís Eyes Nails Body Laser Spa, the spa tech lets you know about how long your treatment should last and educates you on steps you can take at home to care for your eyelashes and eyebrows. Microblading will fade over time due to sun fading, daily sunscreen is a must on your brows will help to ensure that your brow fades less over time. The skin care and Spa Tech professionals at Treuvís Eyes Nails Body Laser Spa offer free eyelash and eyebrow consultations. Schedule yours either online or over the phone.